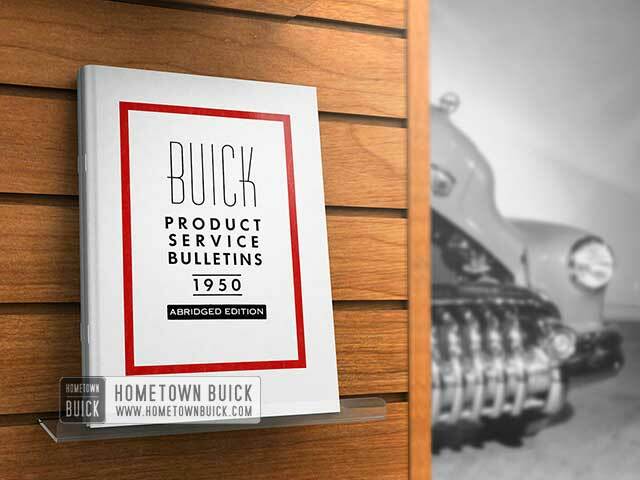 This section of the 1950 Buick Product Service Bulletins is about the 1950 Buick Chassis, the 1950 Buick Suspension, Maintenance and its parts. A recent production change has been made in all Series 1950 shock absorber calibrations, except Model 79. The following list shows part numbers for first and new type shock absorber assemblies and also lists the identifying color code. Rear Shock Absorber-Right All 70 Except 79. Rear Shock Absorber-Left All 70 Except 79. NOTE: This data is intended for information purposes only. Since the adoption of extra-low pressure tires as standard equipment on all Buick models, we have received a large amount of correspondence from owners concerning the advisability of using these tires on older model Buicks. Our Engineering Department has checked installation of low pressure tires on all 1940 through 1947 models and they report that front fender and rear wheelhouse clearance is adequate for safe usage. In view of this, we can see no objection to the use of low pressure tires on 1940 through 1947 models. Owners who are considering a tire change-over should be advised that some differences in handling and riding characteristics are bound to result from use of low pressure tires. This is due to the fact that original chassis suspension and steering equipment was specifically designed for the tire size and pressures specified for use when the car was produced. The tendency of the tires to roll when turning corners or traveling in a strong cross wind cannot be overcome unless wide rims, similar to those used on late models, are also installed. The Buick Motor Division cannot be responsible for any adverse handling or riding conditions that may prove objectionable to some owners, nor will they furnish parts or specifications designed to provide original characteristics when used in conjunction with low pressure tires. 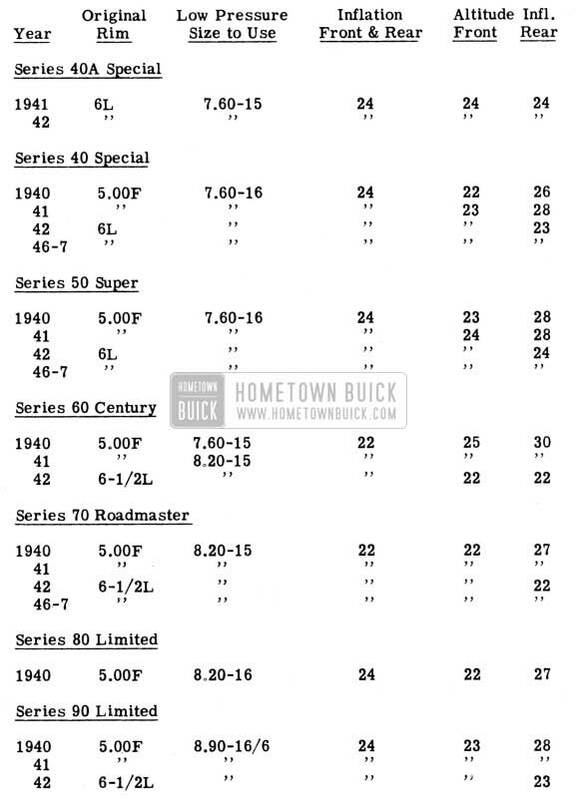 The following chart lists the correct replacement low pressure tire sizes for past model Buicks. These sizes should be adhered to.